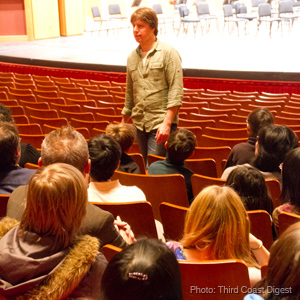 On Wednesday, March 23, several String Academy students got to see a living legend, Joshua Bell, rehearse the Bruch violin concerto along with the Milwaukee Symphony Orchestra. Afterward there was a talk-back session where Mr. Bell answered some of the questions the kids were all dieing to know. To read some of his responses, check out this article by Tom Strini in Third Coast Digest.